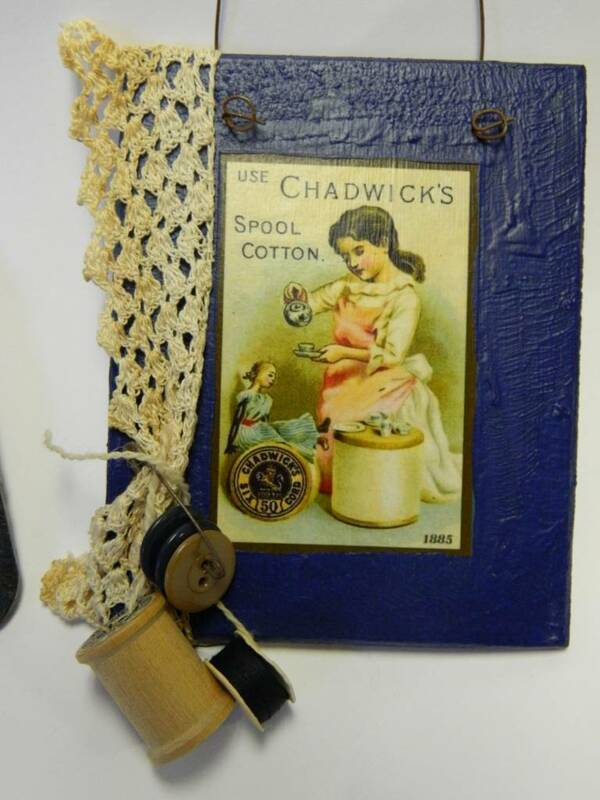 Homemade Chadwicks Ornament - Between Us Sisters, Inc. 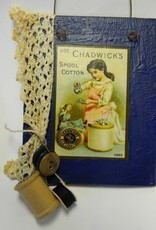 Approximately 4"x 5" vintage Chadwicks thread images either portrait or landscape; with some vintage notions. 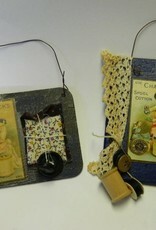 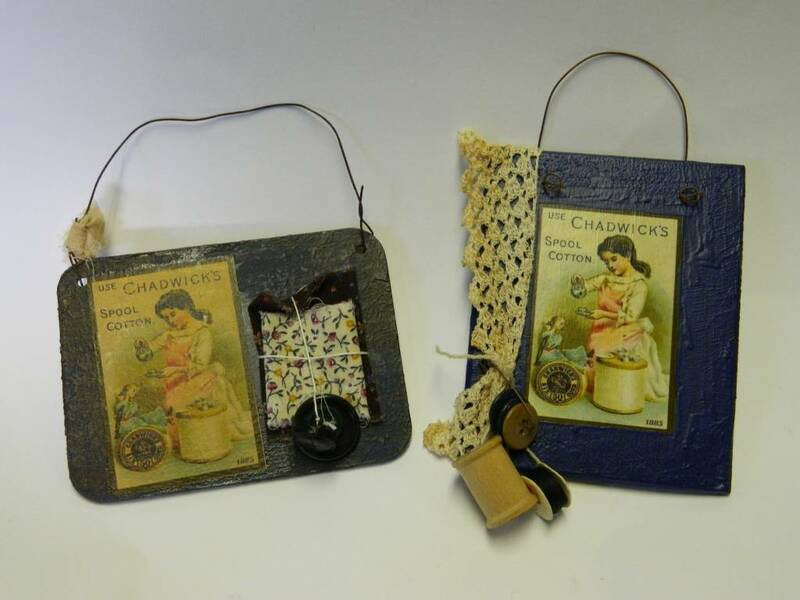 Great to hang on your tree or all year round in your sewing room.